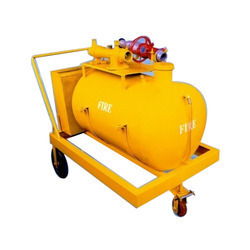 Manufacturer of a wide range of products which include double door fire hose cabinet, fire buckets, fire extingusher, mobile foam trolley, fire hydrant valve and fire hose reels. 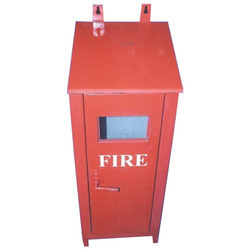 We are a renowned organization, which is engaged in manufacturing, supplying and exporting high quality Double Door Fire Hose Cabinet. The range offered by us is manufactured using high quality material that is sourced from reliable vendor-base. All these products are made available by us in variegated specifications at industry-leading rates. 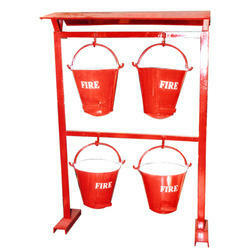 Ours is an illustrious organization, which is engaged in manufacturing, supplying and exporting a wide range of Fire Buckets as per IS norms. All these products are manufactured using high quality plastic and metal, which are sourced from vendors of high repute. Furthermore, we customize these buckets on the basis of the specifications detailed by customers. 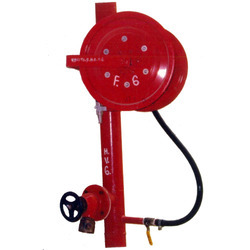 We are leading manufacturer of Fire Hydant Equipments. 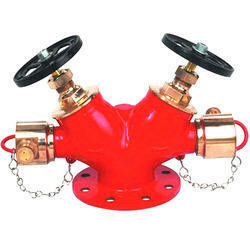 We are a paramount organization, which is engaged in manufacturing, supplying and exporting optimum quality Fire Hydrant Valve. All these systems are manufactured under the supervision of our highly experienced professionals. The quality controllers hired by us stringently inspect these products on certain well-defined parameters of quality. We are dedicatedly involved in manufacturing, supplying and exporting high quality Fire Hose Reels. Manufactured using high quality material, all these products are in compliance with international quality standards. To meet the diverse requirements of customers, we offer all these products in a spectrum of specifications. 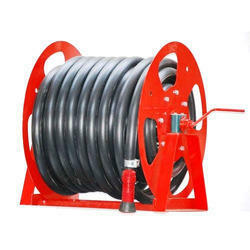 Keeping in mind the diverse requirements of the clients, we offer wide range of Fire Hose Reel that is appreciated among the clients for high tensile strength and excellent strength. We are supported by technically advanced quality testing unit that is embedded with latest technologies and modern tools thereby assisting us to deliver an exceptional range of products. Moreover, we offer them at most affordable rates. 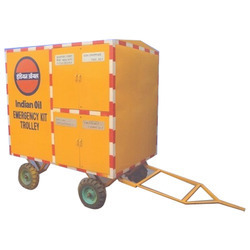 For an esteemed name in the market, we are offering best and most authentic quality assortments of Emergency Trolley. These trolleys are steel finished and acquired from best vendors of the market. 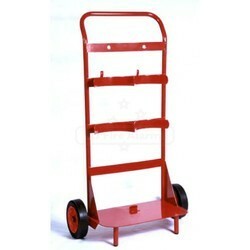 These trolleys are available in smooth edges, wheel base and very light body. They are used for taking patients from one place to another in cases for emergency. They are available in many sizes. They are affordable in rates. 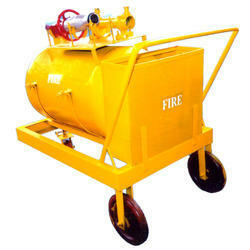 We are placed among the noteworthy organizations, engaged in offering high quality Fire Point Trolley. 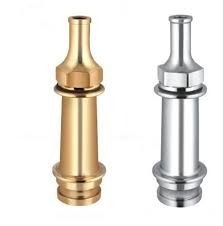 These are manufactured using high grade raw material and modern techniques under the supervision of adroit professionals at our vendor’s premises. Further, these are quality checked against different parameters by quality checkers to ensure defect free delivery at our clients’ end. Moreover, these are provided at affordable prices to our respected clients. We are a prominent organization, which is engaged in manufacturing, supplying and exporting finest quality Hazmat Box. 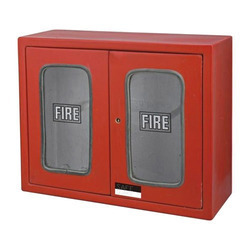 The offered range of boxes is widely used as an active fire protection measure. These products provide a good source of water to extinguish fire. Our range is well connected with an upright pipe for drawing water. With sincere intentions to preserve and uplift our reputation in the international market, we are bringing forth a precisely designed range of Branch Pipe that can be fitted with a choice of nozzles suitable to flow and operational requirement. This branch pipe is used In Most Fire Brigades As The Basic Firefighting Nozzle. This branch pipe is manufactured from the aluminium & is strict adhered to quality standards and tested to ensure reliable performance. Looking for Fire Hydrant Accessories ?